Jeep's tiny toy car is not an obvious choice as a BabyDrive! Well, the Compass was indeed small! 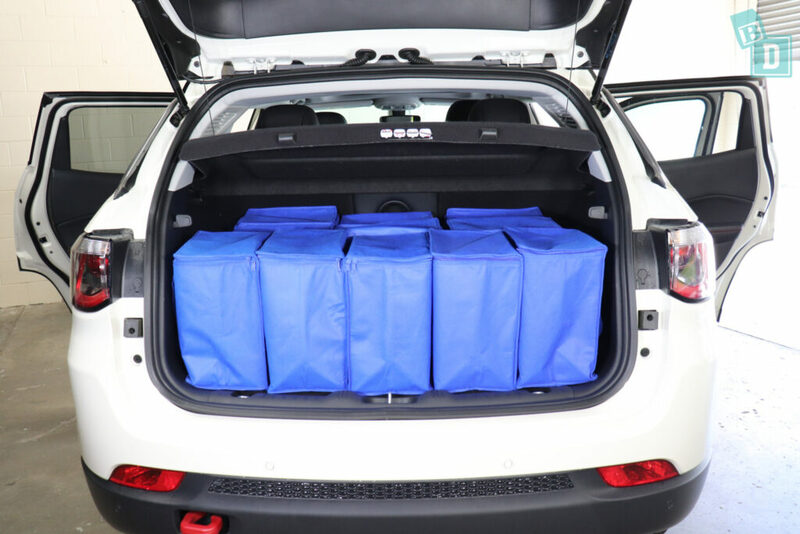 It didn't come out too badly on the boot capacity test, holding 11 shopping bags when empty. Or I could fit the Mountain Buggy Duet twin stroller flat on its front with two shopping bags on it. The Mountain Buggy Urban Jungle also fitted with two shopping bags or the Mountain Buggy Nano compact stroller fitted with nine shopping bags. 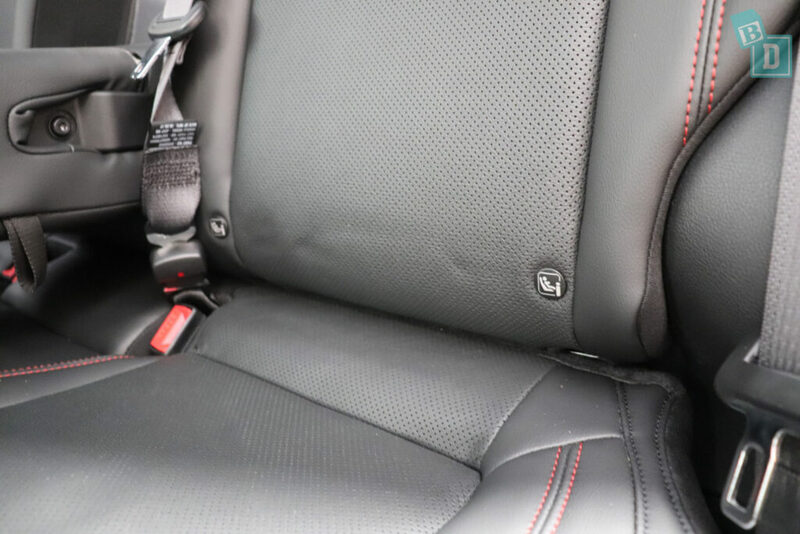 There were three very clearly labelled top tether points in the boot, which were easy to connect to, and ISO Fix between the seat base and seat back of the two outer rear seats. These were not within plastic guides and I found them really difficult to connect to. 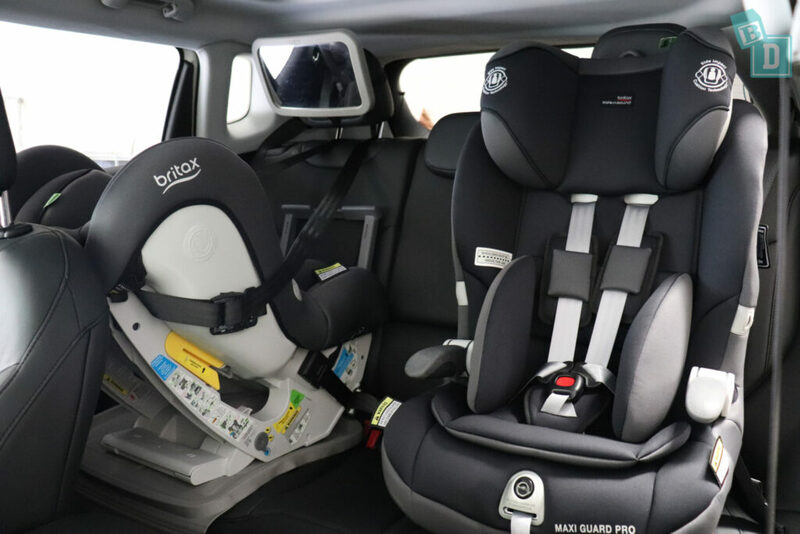 I managed to fit two child seats in the back of the Compass: A rear-facing Britax Graphene and forward facing Britax Maxi Guard Pro. Apart from the tricky ISO Fix connectors, the child seats were easily installed. Storage in the cabin was not the best; the glove box and central console storage box were very small and there was no glasses case or real area in front of the gear lever for a phone to charge, even though the sockets were there. The door bins are quite small; the front ones will just hold a large refillable water bottle and a wallet, while the rear ones will only hold a 600ml bottle. There are two cup holders in the front that were a good size to hold most vessels from a disposable coffee cup to my large refillable water bottle. 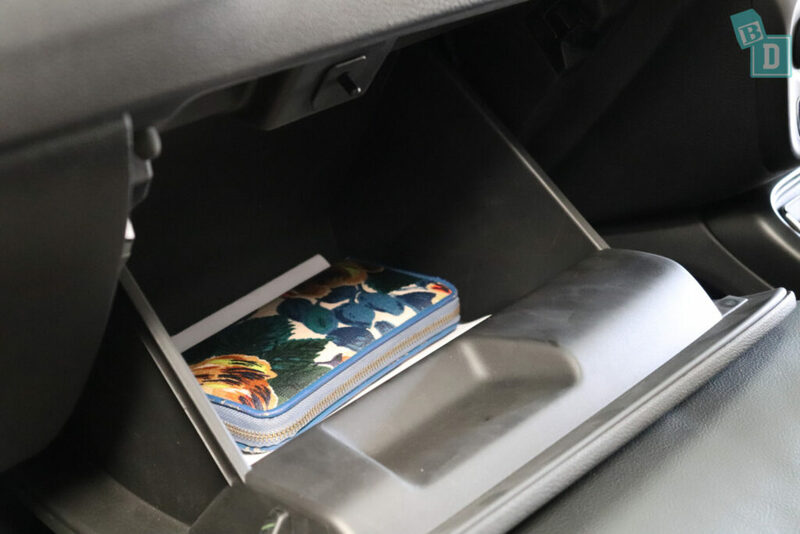 The best storage in the Compass is the hidden compartment underneath the passenger seat! 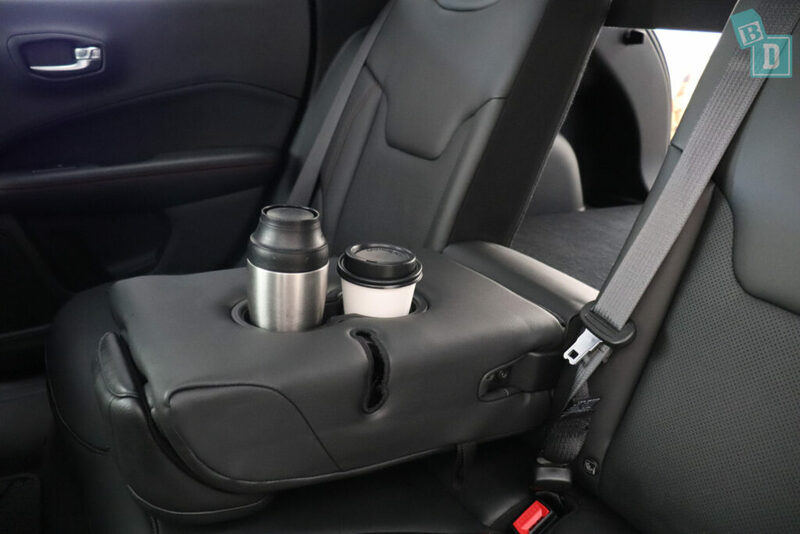 In the back, there are two cup holders in a fold-down armrest in the central seat back but it does bring the whole seat back forward, creating an opening all the way through to the boot! I found this couldn't be used when child seats were installed as there was not enough room between them for it to come down. I found the media system in the Compass looked very cool and stylised but it was very busy and cluttered screens that were not easy to navigate at all. It does have Apple CarPlay and Android Auto though. 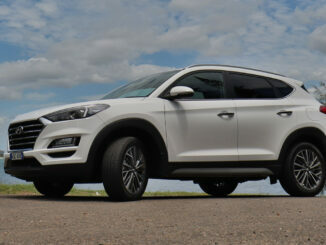 The Compass was good fun to drive but it grunted like a tractor, which I found surprising for such a small car! It was also quite a hard ride and bounced rear passengers about a bit. The seats were very uncomfortable as was the legroom in the front footwell where the central console bulged into your left foot and left nowhere to rest it! 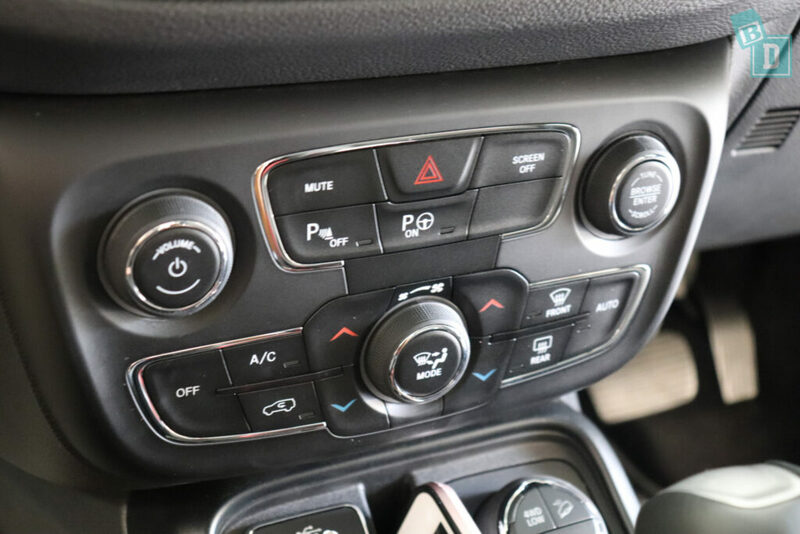 I found the aircon and central console buttons and dials far too disorganised and cluttered, especially being a distracted and busy mum I just want them to be simple. The Compass scored a five-star ANCAP safety rating in 2017 and has seven airbags as standard. The boot of the compass is nicely carpeted and flat so it would be good for an emergency nappy change. There are little plastic storage wells on either side, of the front of the boot, that I found useful for my daughter's shoes, wet clothes etc. There is a 12V socket on the left and an automatic light on either side of the boot too. The parcel shelf is solid. It is removable but I actually found it quite difficult to remove it out through the boot opening, and you'd need to leave it at home there is nowhere to store it in the car. 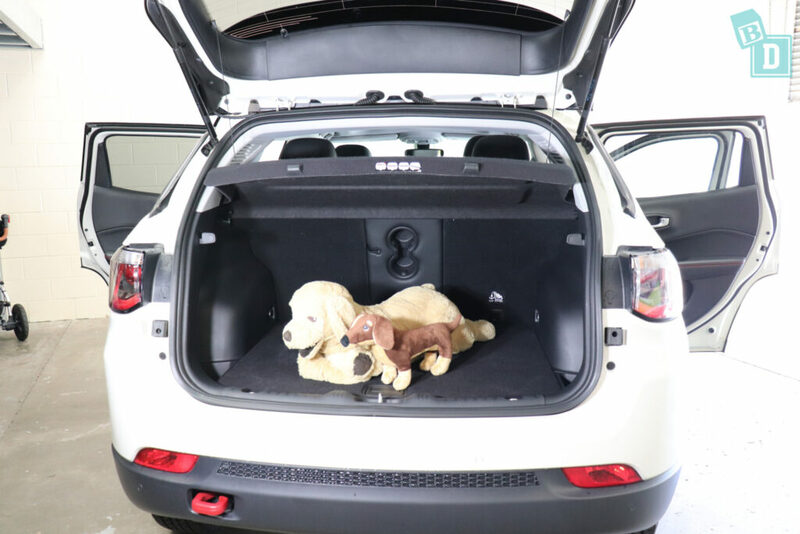 If you removed the parcel shelf you could get a medium sized dog in the boot. When the boot was empty I could fit 11 shopping bags in it. I was pleasantly surprised by this as I didn't think the boot looked very big at all. The Mountain Buggy Duet twin stroller fitted face down on the boot floor, and although it used the whole boot floor space, I could get two shopping bags in on top of it. 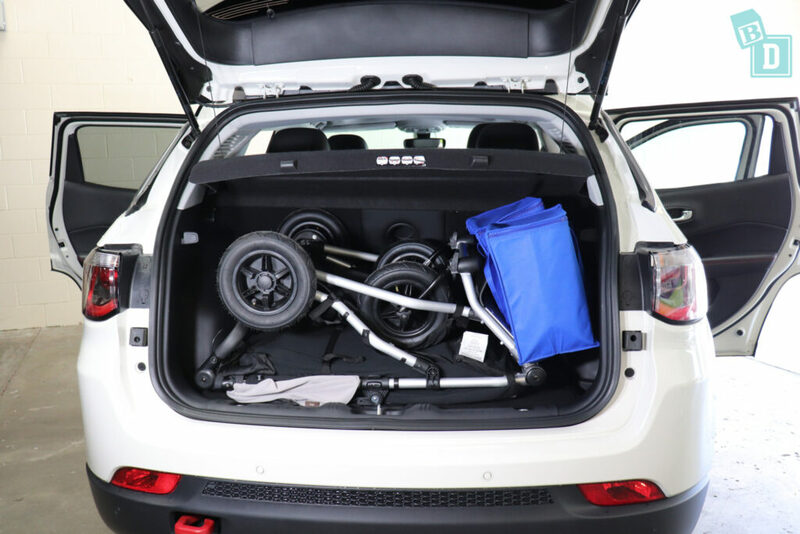 The Mountain Buggy Urban Jungle fitted in the boot with two shopping bags as well. 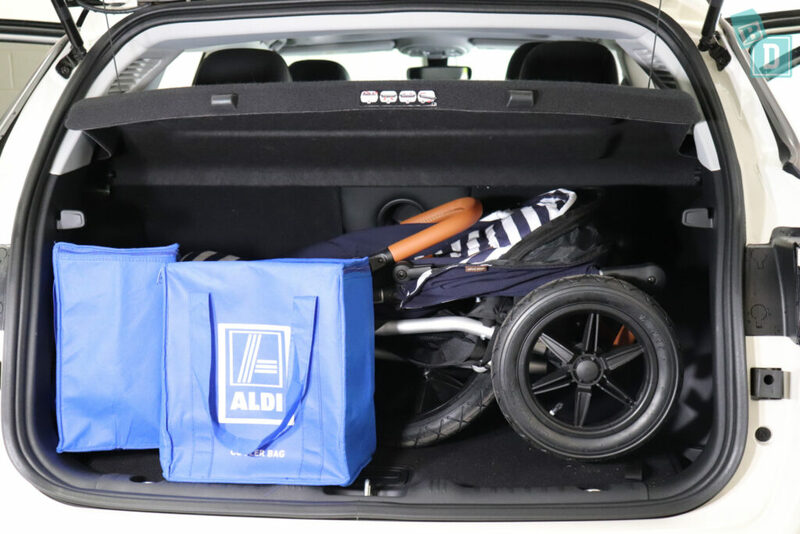 The Mountain Buggy Nano compact stroller fitted in the boot with nine shopping bags around it. Inside the cabin of the Compass, storage is minimal. 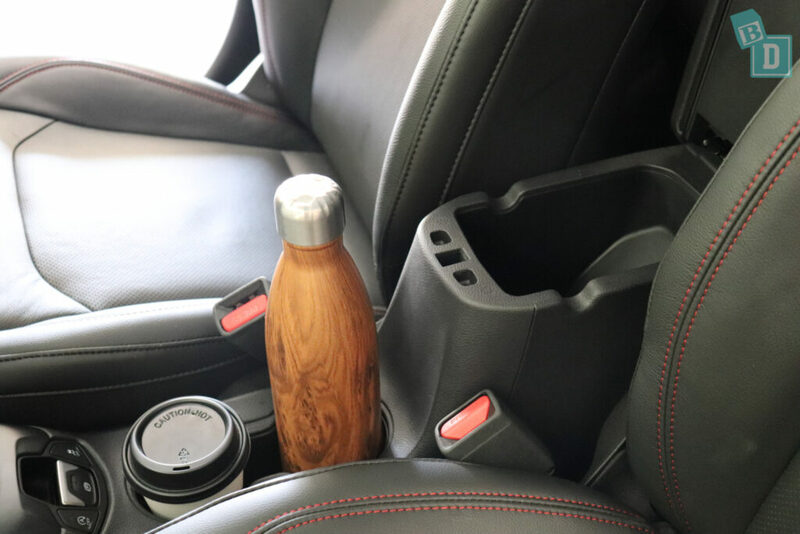 There are two cup holders in the central console that are good for many size vessels, large refillable water bottle, disposable or reusable coffee cups all fit in there well. However, a 600ml bottle or Pigeon baby bottle all rattle around in the holder. The central console storage box is small and there is no USB or AUX socket inside it but it does have a little rubber lining in the base, and the lid doubles as your armrest. In front of the gear lever is a tiny thin storage well that I found was the only spot I could put my phone. The USB, AUX and12V socket are situated here too. 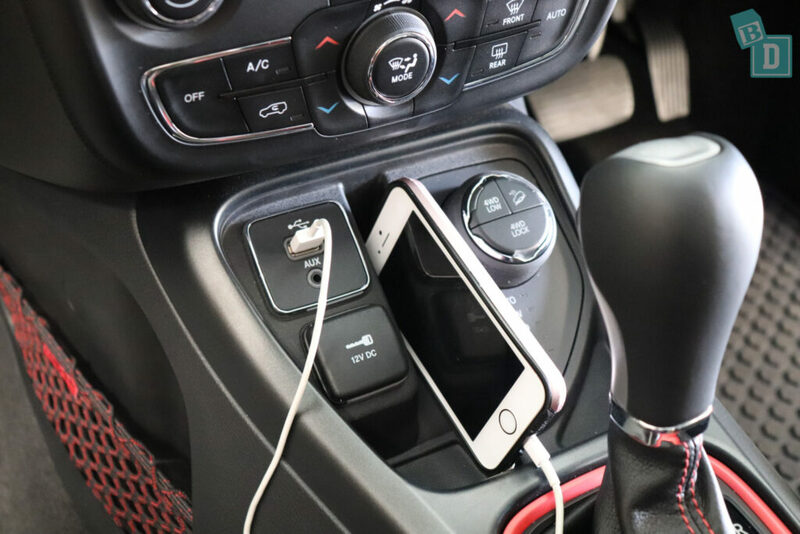 Apart from this little space, there is nowhere to put your phone or sunglasses as there is no glasses case in the ceiling or any other storage space for them! The glovebox is equally small. It is very narrow so I found it wasn't wide enough to hold my iPad, so just my wallet fitted in there. I could just get my large refillable water bottle in the front door bins but it did bend the plastic a little!! Apart from that anything else I tried did fit but just rattled around in them so I didn't find them very well sized. 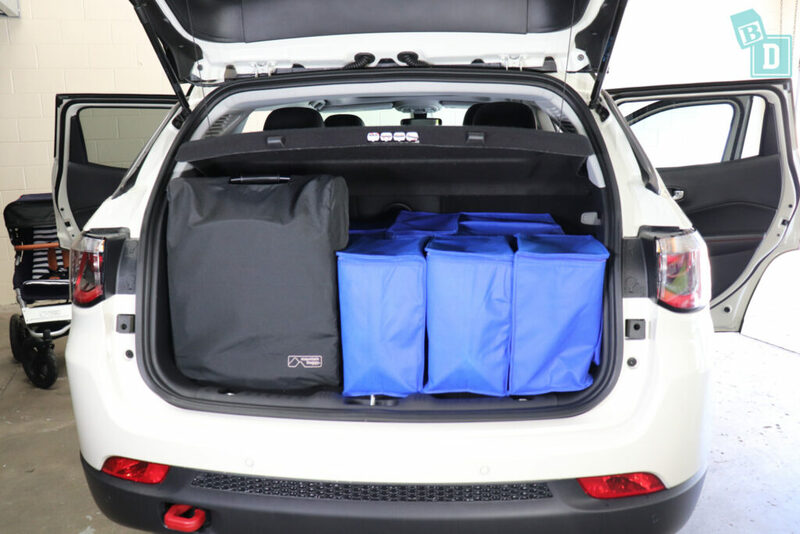 One nice surprise for front storage was the lift up passenger seat base cushion, that reveals a storage area large enough for an iPad! All the doors have little wells in the handles, which are great little storage areas for anything my daughter has in her hands or the keys when I'm putting her in or out of the car. In the back, there are solid map pockets on the back of both front seats that are big enough to hold an iPad but not conceal it. The rear door bins are even smaller than in the front and will only hold a 600ml or Pigeon baby bottle but they rattle around in there. There are two cup holders in the central seat back when you fold it forward, although I found them too small for my large refillable water bottle and too big for a 600ml or baby bottle as they just rattled around! Only a reusable or disposable coffee cup really fitted well. I found the seat back would not fold down when I had the child seats in the back as there was not enough room for it open past them. 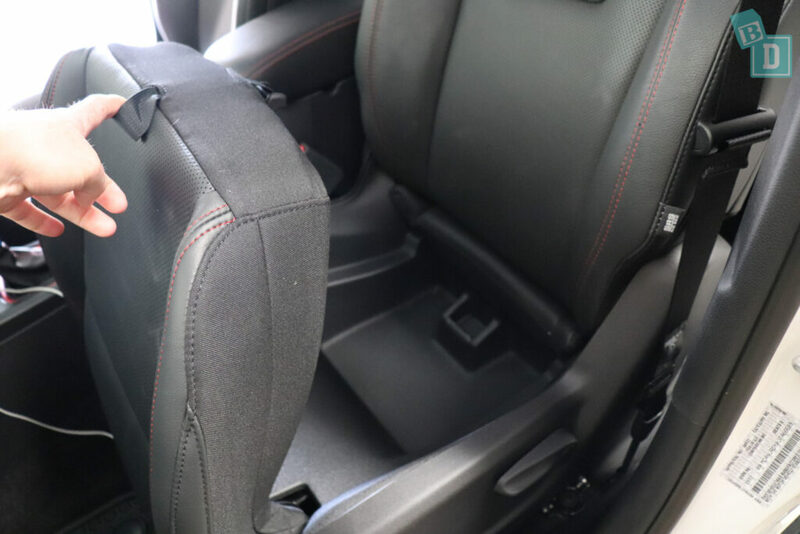 Also, when you are using the rear cup holders there is a big opening to the boot so anything stored in the boot can fly through into the cabin while you're driving. There are little wells in the rear doors as well. 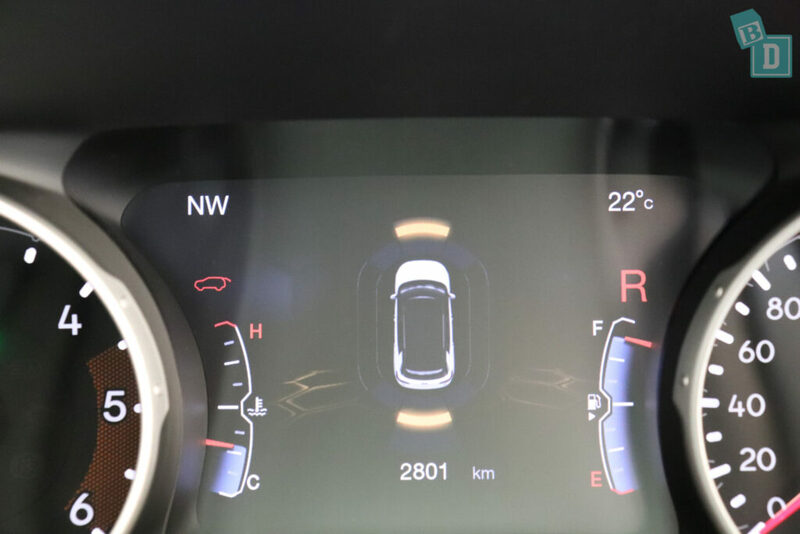 The Compass has front and rear parking sensors, but they cannot be muted on the screen because the visual is on your digital display in front of the steering wheel. 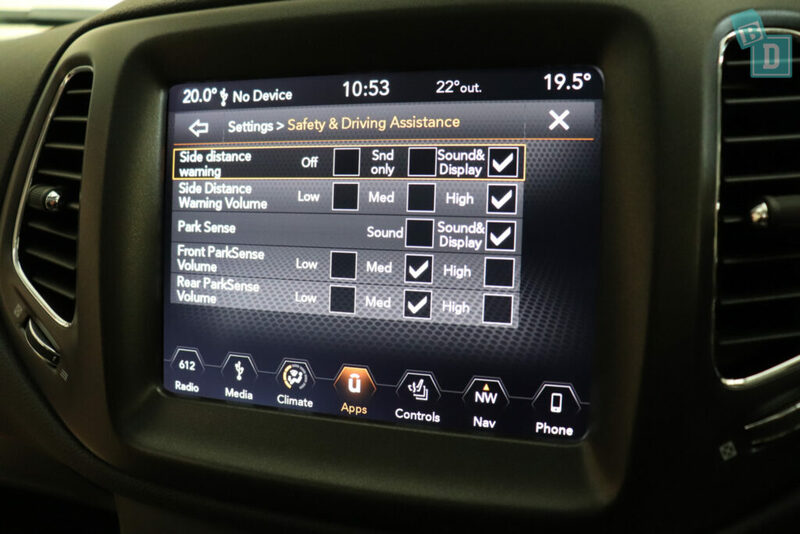 They can be turned on and off using a button on the central dashboard. 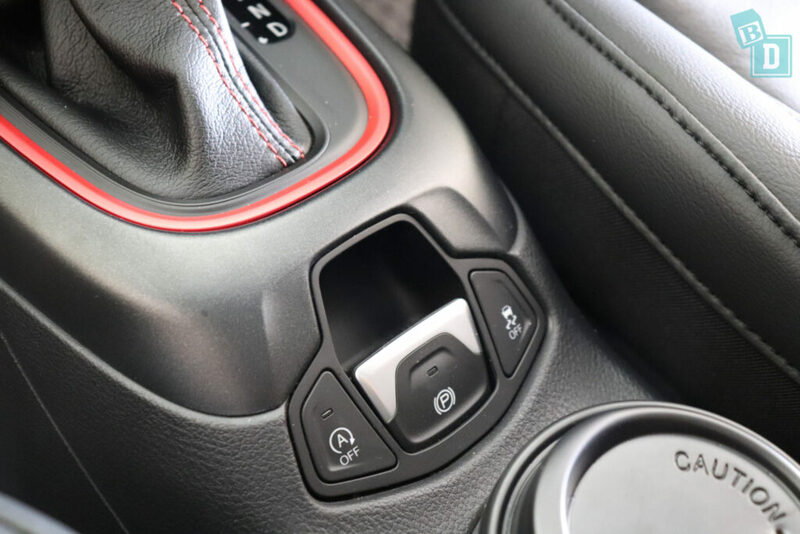 There are also some volume adjustments within the media screen, under settings, which allow you to adjust the volume of the rear and front parking sensors. You can set them to low, medium or high. Low actually made them nice and quiet so they were not too disturbing for passengers. You can also set the park sense to sound or sound and display. Side distance warning volume can also be set to low, medium or high and you can make it sound only or sound and display. The indicators have a nice tick that I did not find disturbing when my daughter was asleep. The sat-nav voice volume can be turned down within the settings but I couldn't mute it from the screen. 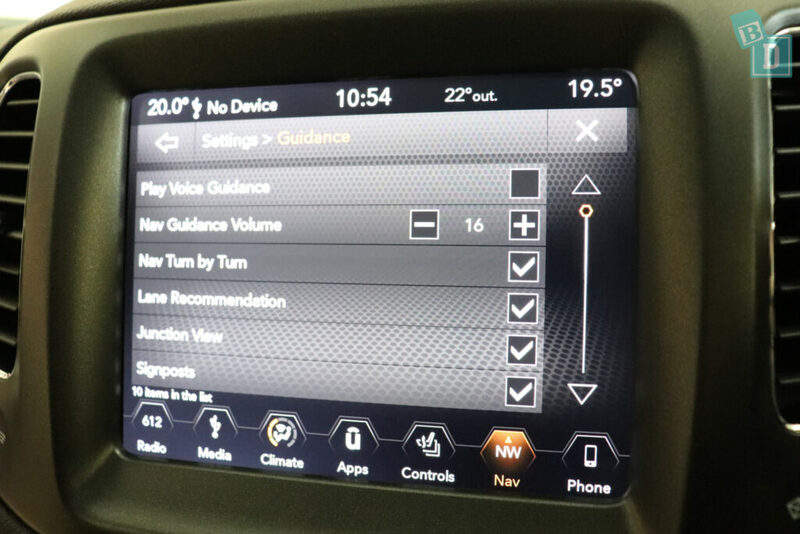 I actually found the sat-nav in the Jeep's system confusing to use. It is very stylised but not simple. There is Apple CarPlay so I found it easier to use the sat-nav from my phone. The whole media system in the Compass I found difficult to navigate. It is styled to really fit with the Jeep brand and look but not as simple as I would have liked it. The Compass is quite a beepy little car! It beeps when you get in to tell you if doors are open and actually it won't drive if you have a door open! It also beeps a lot when you turn the car off to tell you something about the automatic parking brake, which I find ridiculous if it has to beep to tell you it's doing it every time!! The doors and windows of the Compass are quite loud to open and close and the doors close with a loud thud! The doors close quite easily with a gentle close, which was surprising for a car of this size. With baby asleep you can get in and out without worrying the doors will be too noisy. The same for the windows their mechanism is not too noisy and I didn’t notice them having a loud opening or closing sound. 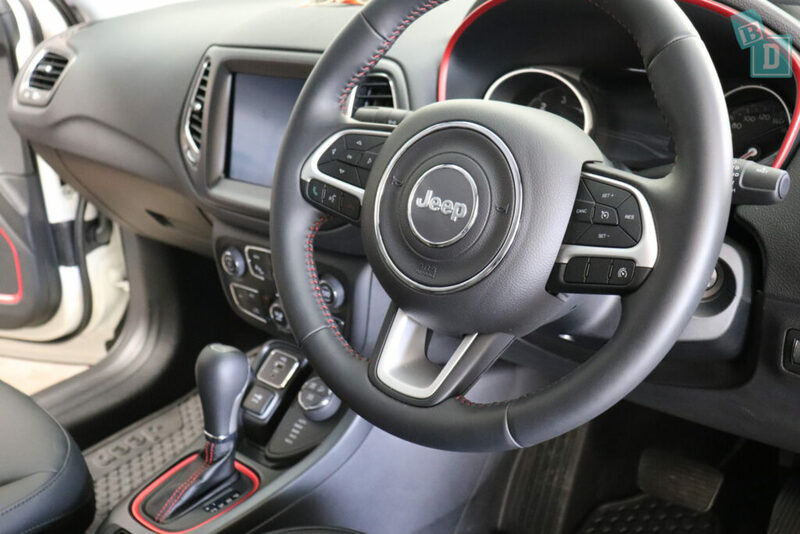 The auto engine cut-out in the Compass is well-designed so that when you turn it off with the button situated down in the central console, it stays turned off on following journeys until you press it back on again, which is a fabulous BabyDrive feature! Road and engine noise is not too bad in the Compass. It does have a bit of a tractor grunt to it and it is very surprising that such a little car makes such a big noise, but I didn't find it disturbed my daughter at all. There is a seatbelt removal alarm and I found I could come to a stop and leave the engine and air-con running, get out of the car and no alarms would sound. However, if I came to a complete stop and turned the engine off then the car beeped to tell me it had put the automatic handbrake on!?! And woken up my child… thank you very much!! This little five-seater has two ISO Fix, one in each of the outer rear seats. They are buried between the seat back and seat base and I found them actually quite difficult to locate and connect to. The top tethers are very clearly labelled in the back of all three rear seats. They are within plastic guides and were easy to connect to. I only managed to install two child seats in the back of the Compass as the seats just were not wide enough for a third. I installed the rear-facing Britax Graphene and the forward facing Britax Maxi Guard Pro. I couldn't sit between them there was just not enough room. 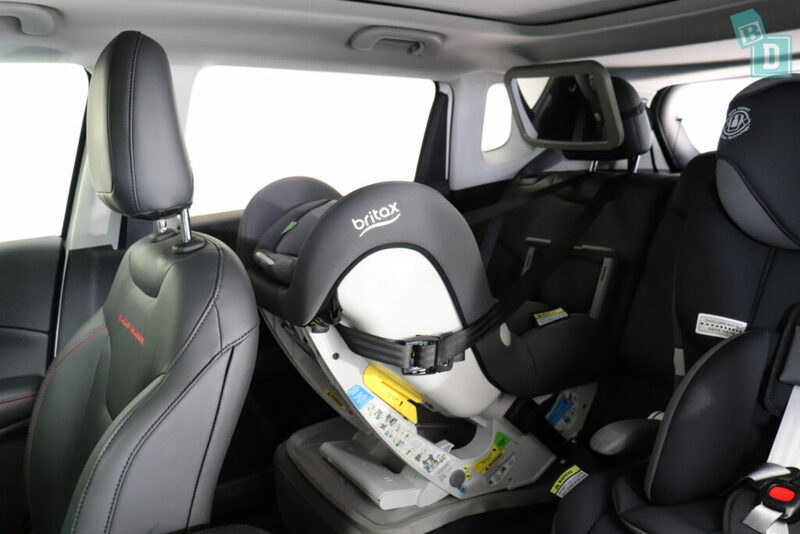 With rear-facing child seats installed in the back, there is 23cm of knee room in the passenger front seat. In the driver's seat, in front of a rear-facing child seat, there was JUST enough legroom for a 184cm driver. 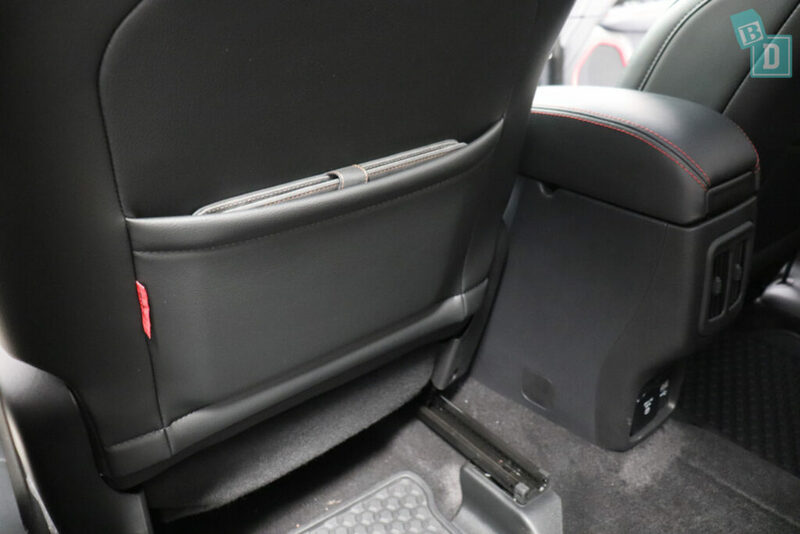 There is a problem with the driver's footwell that especially affects taller drivers, where the central console bulges outward in the footwell and leaves you nowhere for your left leg to go. The footrest is also really short so actually, you have nowhere to put your left foot either. It sounds like a small detail but if you are driving it every day then it is actually really uncomfortable! The Compass is obviously designed for left-hand drive and right-hand drive countries like Australia are just a token afterthought! Thanks Jeep! Posting Bub in and out of their rear-facing child seat is okay from the outside of the car. From inside the car, the ceiling is really low and there is not much space so the post is not so easy. If you only have one child seat installed, there is room to feed Bub in the back. 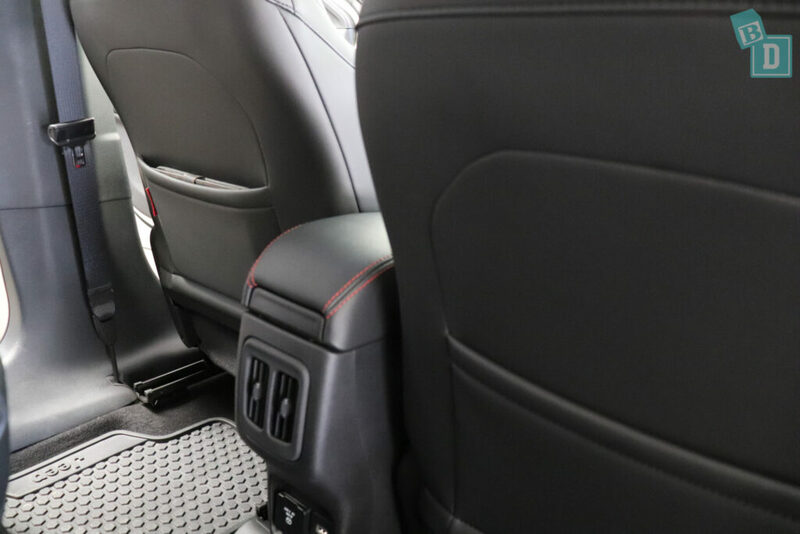 The seats in the Compass are leather, which would be easily wiped clean, but the central panels of the front and rear side seats are perforated, which makes them really difficult to remove the sand, crums and children's spills! All the seats in the Compass are REALLY hard!? I couldn't actually believe how ridiculously uncomfortable they were!! The driver's seat has electric adjustments and you can raise the seat sooo high it is crazy but we discovered that might be to give long-legged drivers a way to fit in the vehicle! 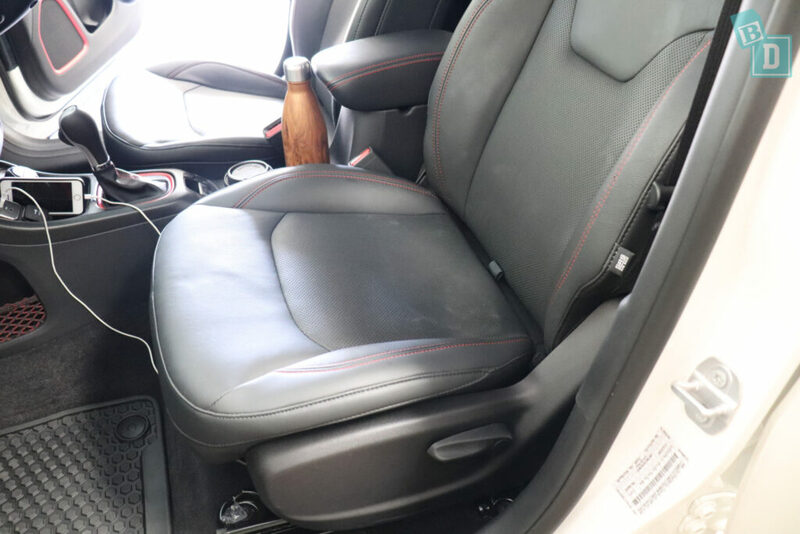 The central seat in the back is especially uncomfortable because the backrest is so hard due to the fold-down cup holders and there is not much room in the footwell for your feet! The seat also sits a little higher and there is no headroom so you end up brushing the ceiling with your hair! 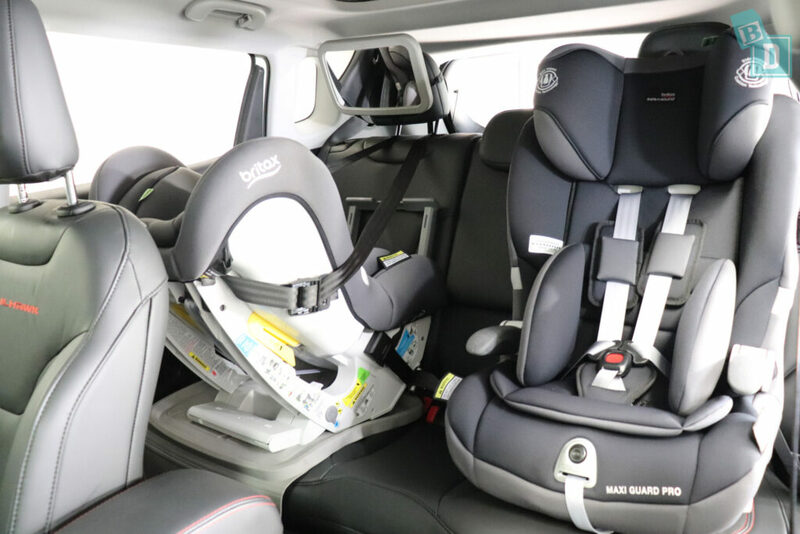 For the first year of Tulsi's life when we would go out as a family, if I wasn’t driving, I would travel in the back with Tulsi, I know many other mums that do too, so it’s important to check the comfort of the back seats as you may be spending a lot of time in them! They were never something I gave any thought to before but I definitely notice a good or bad back seat now! The front headrests definitely do not allow for a ponytail! They adjust to slope further forwards, pressing into the back of your head but they do not move back far enough to allow for ponytail wearing!! The steering wheel is adjustable up/down and in/out. The cruise control buttons are situated on the steering wheel and were easy to use but I did find that the digital display in front of the steering wheel where the speed was displayed is replaced by text saying ‘cruise control ready' when you turn the cruise control on, replacing the digital display of the speed so you can't accurately see what you are setting the speed to?! Another frustrating little detail whilst driving the Compass. The cruise control was not very accurate either, on undulating roads at 60km/h it got up to 69km/h when I intervened! So it can't be trusted to stick to the set speed. 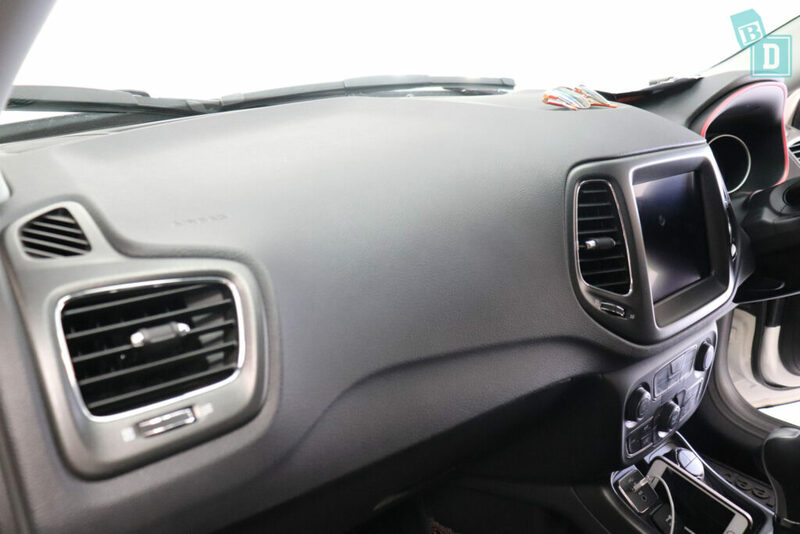 There are four air-conditioning vents on the front dash, two in the centre and one at either end. 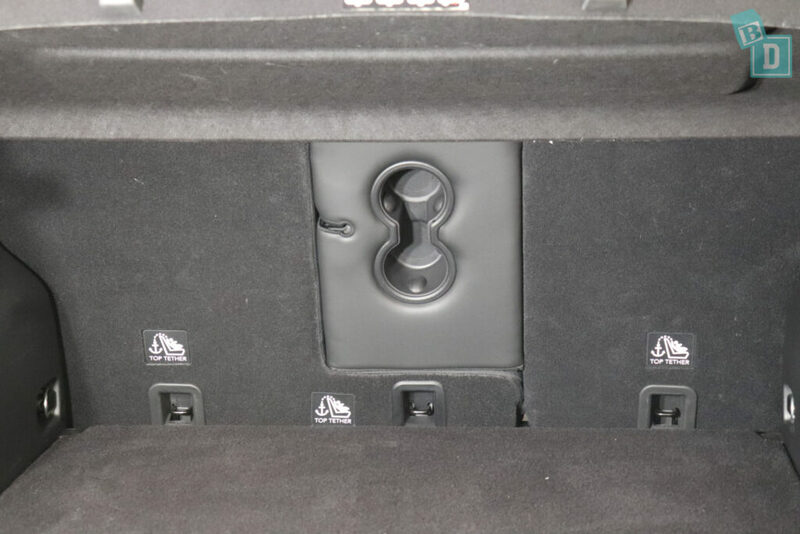 There are also two in the back of the central console box that are easily reached and adjusted while you are driving. The rear ones are just air vents and there is no temperature or airflow control in the back. The air-conditioning controls are on the central console below the media screen, in amongst a whole heap of other controls and they are just so disorganised and chaotic-looking that I feel like as a mum I don't have the time or headspace for their chaos! I just need simple controls! I also found there is no visual display of what fan speed you have the fan on. Normally there is a visual and you work out e.g. two is the fan speed for ambient temperature in the cabin, without this I found it was always guesswork! Also, the temperature display is in the top corners of the media screen and the controls are much further down the central console so it just doesn't flow together well for usability. I found visibility out of the back of the Compass really compromised by the huge blind spot on both sides caused by the side pillars. The rear side windows also slope up dramatically towards the back of the car so visibility for rear-facing passengers is also really limited. This also affects visibility for forward-facing little passengers as they can't see out of the windows close to them as they slope up too high. All this effects visibility when reverse parking, but the car's smal size and boxy shape helps to make this easier. The view from the reversing camera is quite pixellated but I found it useful still. One thing I have noticed since being a mum is I hate it when I reach a destination or get home from being out and Tulsi has either done really well in the car or she is screaming her head off and I have done really well to keep it together for the entire journey (usually the latter!!) and it takes 10 minutes to park the car! It can be really stressful. 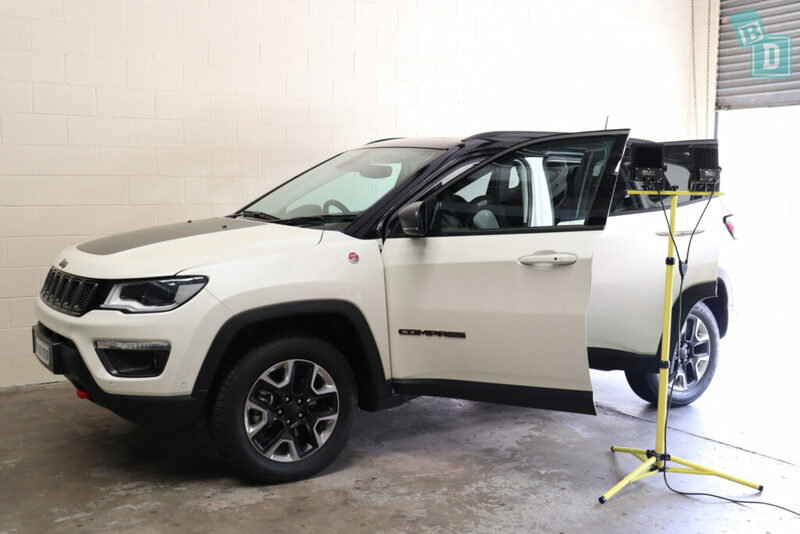 Usually I dread when we get big cars or Utes as they take longer in our tight apartment block carpark, but the Jeep Compass although only a small SUV, was tricky to reverse park too! There are lit vanity mirrors in both front visors. The interior lights in the front are centrally located in the ceiling. 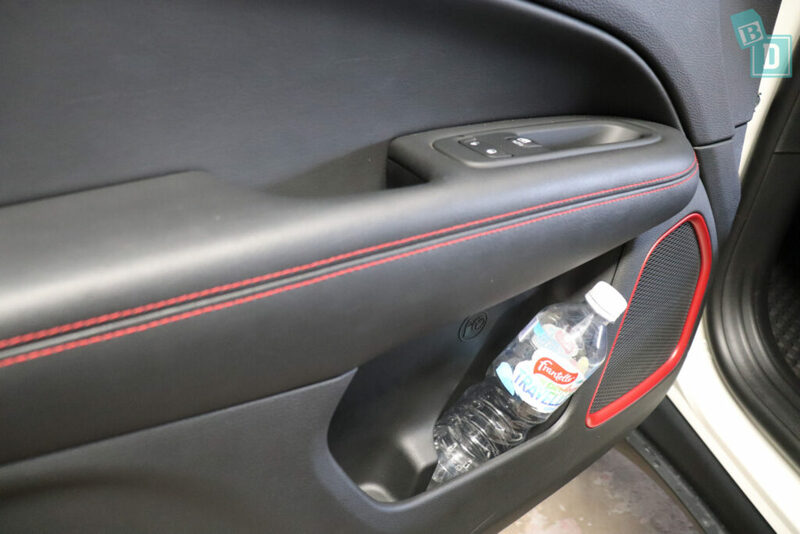 In the back, they are located within the handles above the rear doors and you can press them on and off. 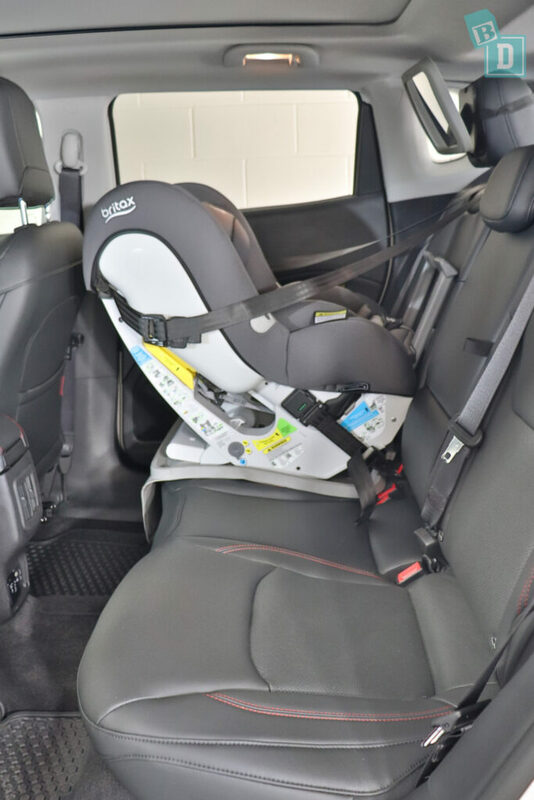 This is fantastic for when you are putting bub in and out of their child seat as you can easily reach to turn them on or off but they are not reachable from the front. The Compass is interesting to drive, it feels a bit like a postage stamp, it's so small!! The ride is quite hard and it rocks around a little too which is a bit disturbing for rear passengers. 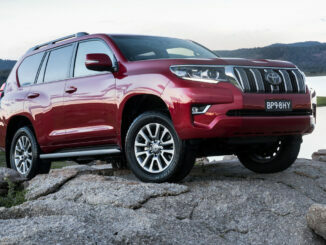 It is clearly built for offroad conditions rather than around town. 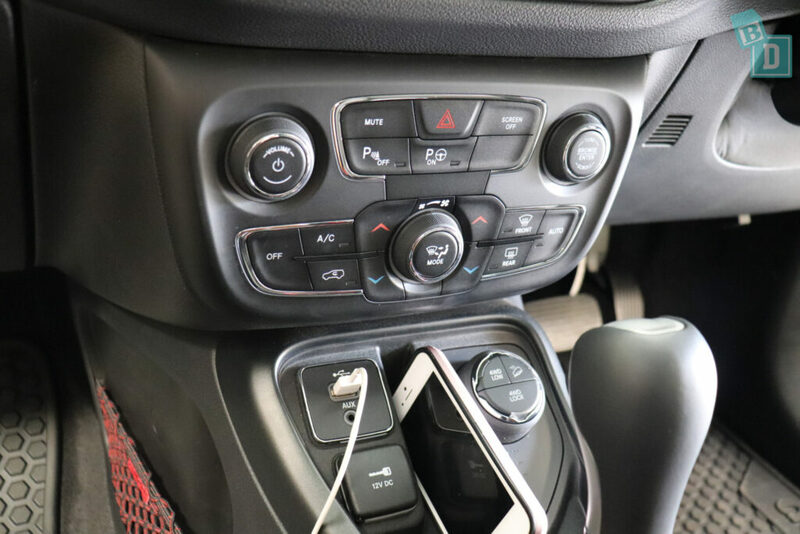 There is a 12V socket in the boot, as well as one on the central console and a 12V and three-pronged 220V power outlet (like the ones you have in your house) in the back of the central console too. I am not sure if you would need to put a plug safety cover over this like you do at home. There are handles above both back doors to hold a child's toy. 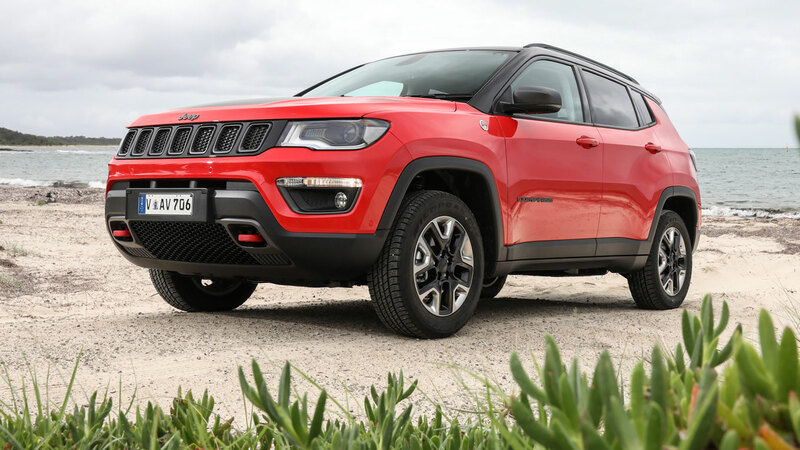 Aesthetically the Jeep Compass is a nice looking vehicle inside and out. 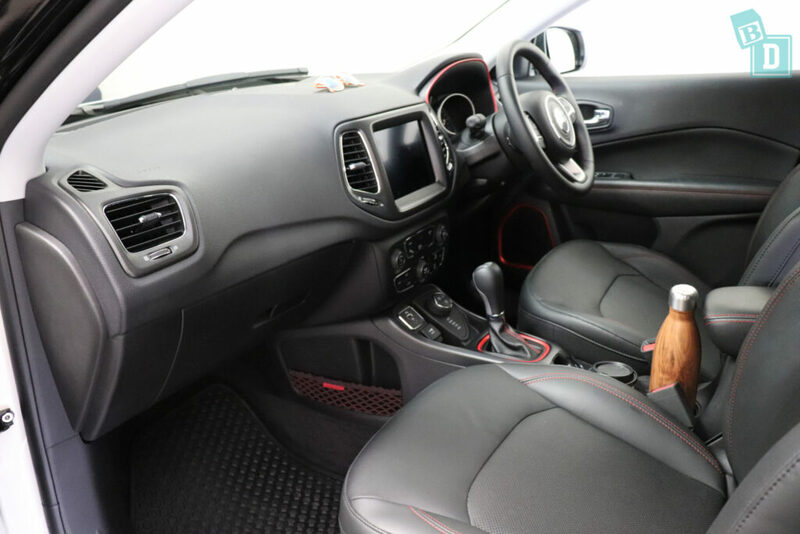 There is a lot of styling in the interior with the great red matte, metal trims and stitch detail. It is interesting and not run of the mill, which I like about it! The exterior has just as much attention to detail with the honeycomb, contrast red winch hooks and badging. 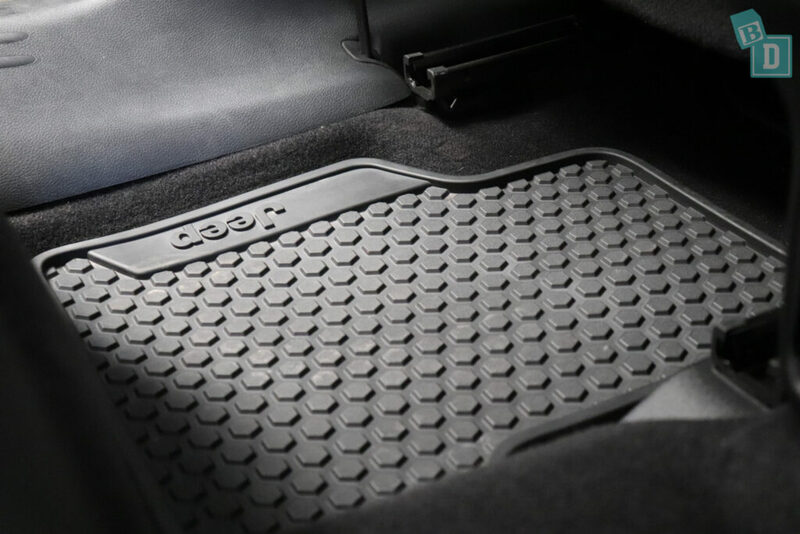 The floor mats in the Compass are stylised too with the honeycomb theme following through and they are rubber which is fantastic for taking out and hosing clean! The Compass does have keyless entry but the tailgate is manually opened and closed. The Jeep Compass has a five-star ANCAP safety rating. In testing, it scored 14.93 out of 16 overall, with 16/16 for side impact, 2/2 for pole testing and pedestrian protection was rated good. The Jeep Compass has seven airbags as standard. There is a driver's knee airbag and both front passengers get front and side head and chest airbag. 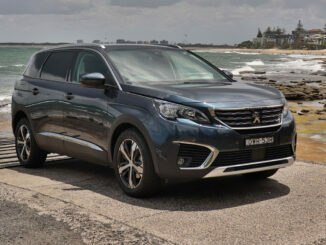 Side head and chest curtain airbags extend to the rear passengers as well. 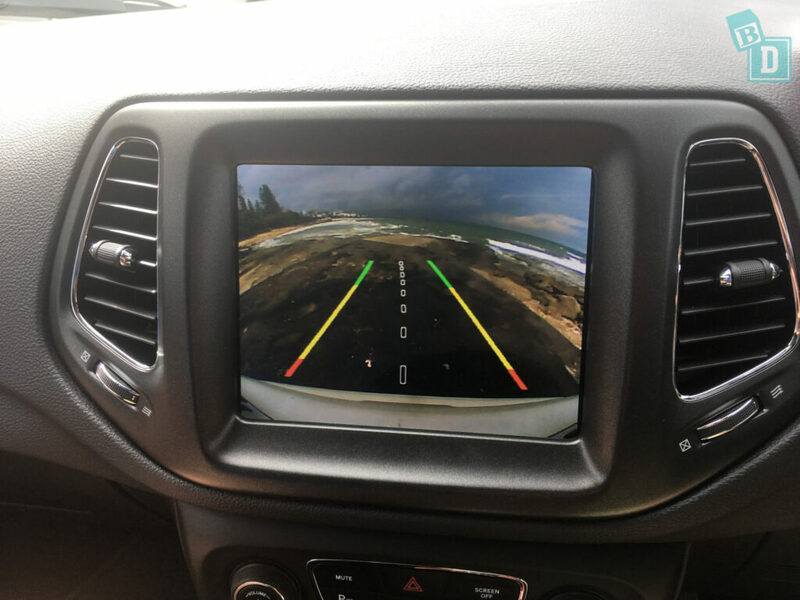 As standard, the Jeep Compass comes with a reverse parking camera and front and rear parking sensors. There is also full speed forward collision warning plus lane departure warning, blind spot monitoring, rear cross path detection, parallel and perpendicular park assist with stop, tyre pressure monitoring, anti-lock brakes (ABS), electronic brake force distribution (EBD), electronic stability control (ESC), emergency brake assist (EBA) and emergency stop signal (ESS), reversing collision avoidance and secondary collision brake assist.